It's not every day that a German foreign minister warns a Saudi leader against "adventurism." The recent political shake-up in Saudi Arabia extends beyond the kingdom's borders. On Nov. 4, Lebanese Prime Minister Saad al-Hariri resigned from office unexpectedly after being hastily summoned to Riyadh. Reports that Saudi Crown Prince Mohammed bin Salman coerced Hariri, a Saudi citizen, to step down while in custody created a wave of international backlash. Officials from the United Kingdom, the European Union and Germany all spoke out, condemning Saudi Arabia's meddling in Lebanon's domestic politics. 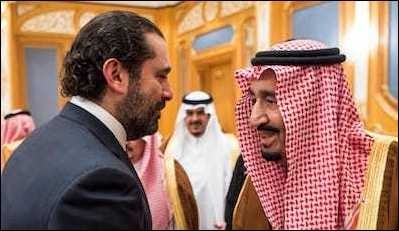 France's president, Emmanuel Macron, brought the full weight of French diplomacy to bear on the situation and invited Hariri to Paris to ensure his freedom. 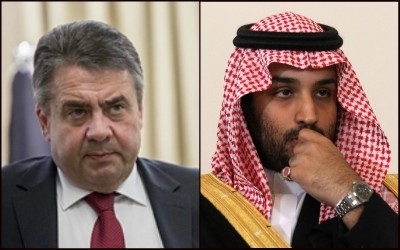 Despite Riyadh's insistence that it had not restricted his movement, German Foreign Minister Sigmar Gabriel issued a stern warning against keeping the former prime minister from traveling to France and said Europe would not abide Saudi Arabia's "adventurism." The Saudi Ministry of Foreign Affairs responded by recalling the kingdom's ambassador in Berlin for consultation, dismissing Gabriel's remarks as "random, slanderous and unfounded." In the midst of the controversy over its blockades of Qatar and Yemen, as well as its intensive anti-corruption campaign at home, Saudi Arabia's interference in Lebanon's affairs may seem reckless. Whatever the kingdom's motive for pressuring al-Hariri to leave his office, the crisis that the move incited seems to outweigh any potential benefits. But in the tradition of Saudi Arabia's foreign policy, the product of a millennium of tribal interaction in the vast Arabian Desert, the gambit appears perfectly rational. Tribal politics has always played a prominent role in Arab affairs. The creation of Abdul-Aziz Al Saud's kingdom in 1932 established the Saudis as the pre-eminent political tribe on the Arabian Peninsula. As such, the Saudis exerted their power over the region's lesser tribes, including the al-Maadhid tribe from which Qatar's ruling al-Thani family hails. Saudi royals expect the al-Thanis to unquestioningly fall in line with their policies as a result, in keeping with the time-honored tribal code. For the Saudis, Lebanese Prime Minister Saad Hariri's loyalty to the royal family trumps other considerations. Transnational nomadic tribes that originate in Saudi Arabia also constitute an important component of the kingdom's regional policy. The dispersal of Saudi tribes beyond the kingdom's geographic borders in large part determines the extent of Riyadh's influence in the surrounding area. In 1996, for example, the Saudi government used its ties with the al-Murrah tribe that dwells on both sides of the kingdom's border with Qatar to organize an attempted coup against Emir Sheikh Hamad bin Khalifa al-Thani. Saudi Arabia likewise owes what little sway it has in Jazira, along the Syrian-Iraqi border, to the Shammar tribe that lives in the region but has roots in the kingdom. Saudi Arabia's focus on local relations has given rise to a narrow perspective in which the needs of the ruling tribe take precedence above all. By that logic, it doesn't matter that al-Hariri is the prime minister of another country because he is also a bearer of the Saudi nationality. His loyalty to the Saudi royal family must override his official title in another country. Underlying Saudi Arabia's foreign policy is a drive to preserve the kingdom's territorial integrity and political stability. But beyond the fundamental imperative to maintain its hold on power, the House of Saud has never articulated larger foreign policy goals or a coherent strategy to support them. The Saudi royal family's foreign policy is driven by the imperative of maintaining its hold on power. Nor is Riyadh particularly interested in the Arab regional order, except to the extent that it might affect the status quo on the Arabian Peninsula that favors Saudi rulers. Instead, Riyadh merely reacts to threats as they arise, relying on its allies' armed forces to make up for its own modest military capabilities. In the 1980s, Saudi Arabia called on Iraq's military might to stop Iran from exporting its version of Islamic revolution throughout the region. The kingdom later sought help from the U.S. military when Iraq invaded Kuwait in 1990. More often than not, Riyadh's actions have yielded undesired consequences. In 2011, for example, Saudi Arabia demanded that the government in Syria release political prisoners to defuse the uprising there. President Bashar al Assad obliged by freeing thousands of Islamist radicals, some of whom went on to create Jabhat Fatah al-Sham, an al Qaeda affiliate formerly known as Jabhat al-Nusra. To contain the burgeoning jihadist threat, al Assad turned to Iran and its Lebanese proxy militia, Hezbollah, for help. Iran's growing influence in Syria prompted Saudi Arabia to arm the Syrian jihadist groups to try to topple al Assad's administration and sever Tehran's ties to Damascus. And the kingdom's support for the militant outfits, in turn, invited criticism from the West — not the outcome Riyadh was hoping for when it first pressed al Assad about political prisoners. Based on Saudi Arabia's past experiences, one might expect the kingdom's rulers to adjust their foreign policy. But Riyadh, to the contrary, has continued down the same course, casting doubt on the Saud dynasty's future. The young crown prince's recent efforts to secure his control over the kingdom's economic, military and political affairs have sown discord among the members of the royal family and drawn scrutiny from the international community as well. Gabriel, the German foreign minister, previously admonished Saudi rulers for imposing the blockade on Qatar. To put Saudi Arabia on a path to sustainable growth, bin Salman must discard its tribal approach to foreign affairs. A U.S. State Department official, meanwhile, was quoted in a New York Times article from Nov. 14 criticizing bin Salman for "behaving recklessly without sufficient consideration to the likely consequences ... that (have) the potential to damage U.S. interests." Saudi Arabia is at a watershed in its history. To reduce the kingdom's economic dependence on oil and put it on a path to sustainable growth, bin Salman must also develop and adapt the government's policies. Riyadh's tribal approach to foreign affairs has run its course. If the House of Saud doesn't deviate from its long-standing strategy, or lack thereof, in the region and the world, it will gradually lose its power.